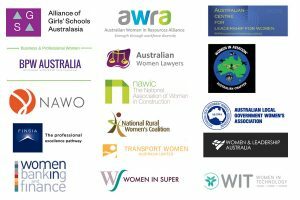 The 2019 Annual Forum of the Australian Gender Equality Council is being held on Thursday 4th & Friday 5th April 2019 in Melbourne. With the success of our Launch this year and AGEC’s It’s Time Campaign, we are committed to building on our achievements in 2019 and beyond. And we need your help and input to do it. The 2019 Annual Forum will revolve around our priorities and building a formal AGEC manifesto – the things we stand for.